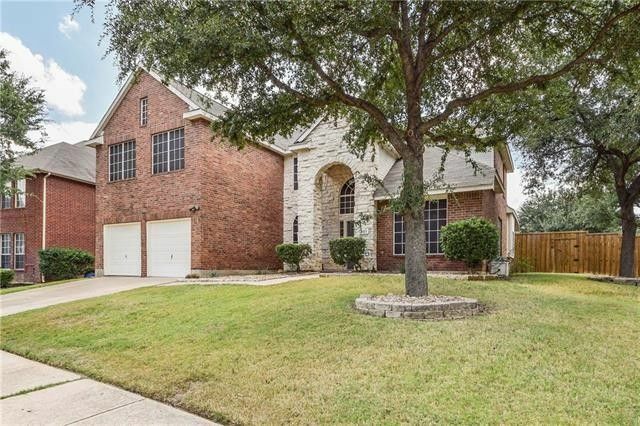 Corner lot on a quiet cul-de-sac, this 6 bedroom home features 2 bedrooms down, 4 generous bedrooms up, a large game room, HUGE media room, and a nice study. The perfect for entertaining backyard features a pool with rock waterfall & security fence. Kitchen has granite, double oven, SS appliances, & GAS cooktop! Ensuite features tray ceiling and nice views of the pool. 6th bedroom being used a huge laundry room but could be used as a bedroom. Pool was just replastered!